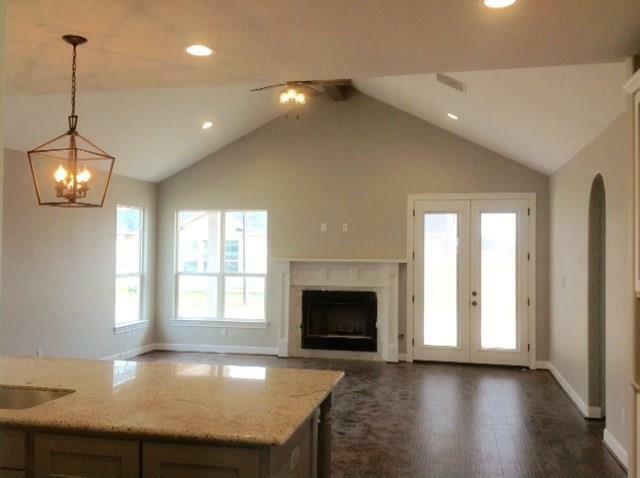 New construction in the heart of East Bernard, 2164 sq.ft 1 story with 3 bedrooms, 2.5 baths, 2 car attached garage with rear extension & hot water heater in the garage. 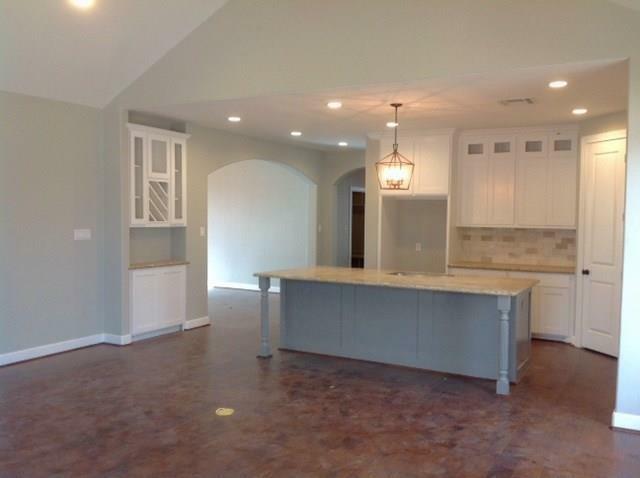 Vaulted 10 foot ceiling at entry with arch opening leading to extended foyer. 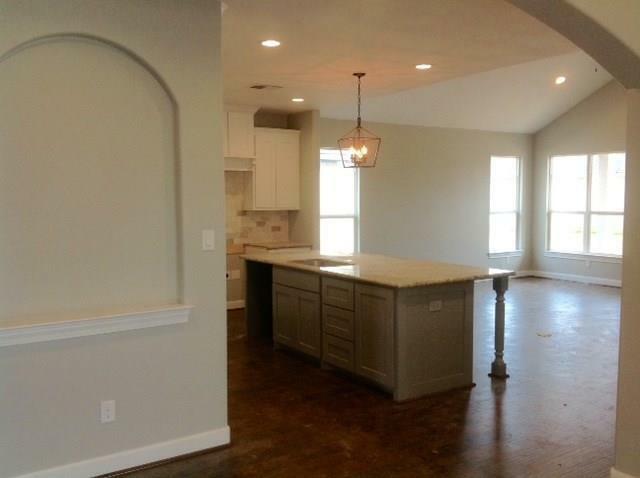 The formal dining room has dramatic vaulted ceilings and hardwood flooring. 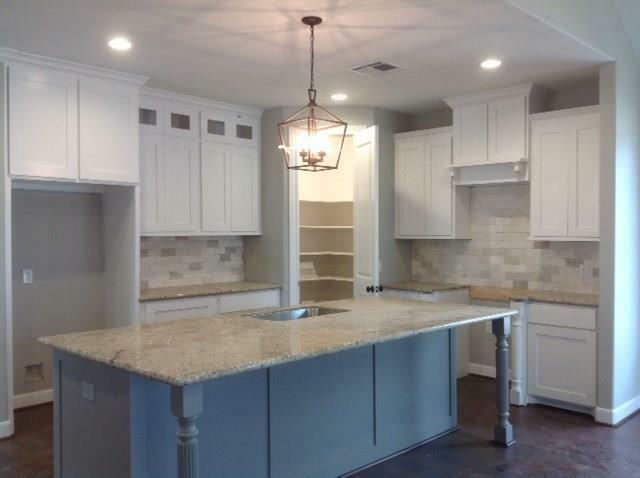 Elegant kitchen island with granite counters, walk in pantry, & breakfast rm opens to dramatic family rm with vaulted ceiling and gas raised stone hearth fireplace. Exceptionally spacious master suite with 10 foot ceilings & luxurious master bath with his and her vanities, huge walk in shower and separate soaker tub and large walk in closet. Mud room with built in shelf & hooks above cubbies below great for storage. Good sized utility room with storage cabinets & space for fridge. Energy efficiency features include ventilated soffit wth ridge vent, radiant barrier roof decking, R38 blown insulation in attic, R13 batt insulation and OSB sheathing with house wrap.